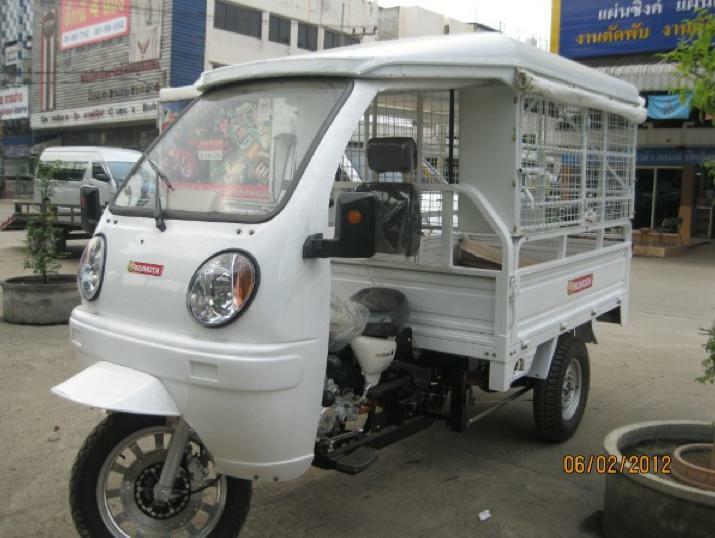 I'm trying to find anyone who has purchased a samlor krueang / tuk tuk and has figured out how to register it so as to drive it legally around Thailand. I've found a shop in nearby That Phanom that builds and sells them but the answer I'm getting from the builder through the wife's translation is "oh don't need to register, farang buy and drive all over Thailand and no need to register" Either the translation is off or I'm missing something. This is my first post and I'm a complete idiot when it comes to computers so not sure if I can figure out how to get a picture here showing what I'm talking about. OK, Can't be done until I have 5 posts sorry. "oh don't need to register, farang buy and drive all over Thailand and no need to register"
Thais will say anything to make a sale. Like when I go to MBK, try on a pair of jeans that clearly don't fit and they will say, "fit good!". Instead you might see the odd one or two in some major towns and cities, used mainly in the tourist industry. Thetyim, yes it's very similar to your photo only the front is more open like the front end of a motorcycle with a wind faring and the back is more like a songtaow where you enter from the rear to 2 long seats. Same type tires and overall width and length though. Therefore - before buying it, you should check if you can licence it in the region where you intend to use it. Will you use it only for personal use or as a taxi? That would certainly make a difference re applicable laws etc. I'll be using it for personal use only. My poor man's pickup. 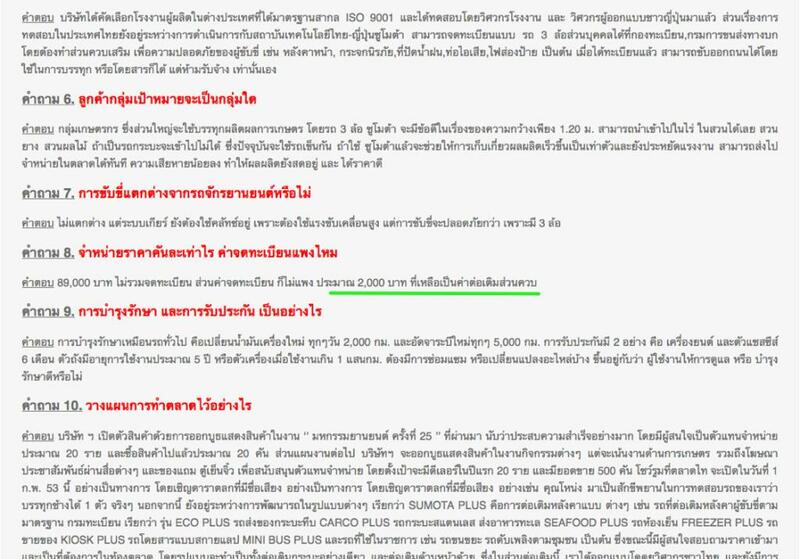 Talking from close hand knowledge of this topic in Khon Kaen, I can tell you now the numbers for this are not issued to Joe Public at Joe publics request. Numbers are rarely issued and when they are, they are bought up in bulk by one person and then they go out to highest bidder or those who have the power to demand them from the guy that holds them in bulk at the government rate. You may get lucky somewhere down the line, but I doubt it. Thanks for the insight, Spin. Today I noticed that none of the samlor taxi drivers around here have a license plate on the back of theirs only a number across the front of their windshield. When I asked one of them about registration he just smiled and said don't need to register. I suppose I should try asking the police next what their policy is on these. I wonder why you can't register these as private vehicles? If you think about it, for B80,000 you can get a vehicle that can transport three people safer than a motorcycle and with a bit of rain cover for not much more money. I would have though they would be everywhere. What's this bad-boy called and how much does it cost? Perfect for a poor family who can't afford a car and can only pay a small amount monthly. I was informed Samlors are actually illegal vehicles allowed on the streets of Bangkok. Police turn a blind eye as most are driven by garbage collectors and the like. Also been told they are supposed to be prevented from entering inner Bangkok, such as Silom, Petchburi, Sukhimvit and so forth. Bobsuruncle, that's exactly the type of vehicle that my ex uses to drop hotel guests off at the nearby beach. Never any problems, but I know she would not dare pick up guests from the airport with that vehicle. I may be wrong as my thai is about as good as my klingon, but if its saying 2,000 Baht for a registration book , can it be registered . Thanks JimmyBoy I'll see what info they can give me. 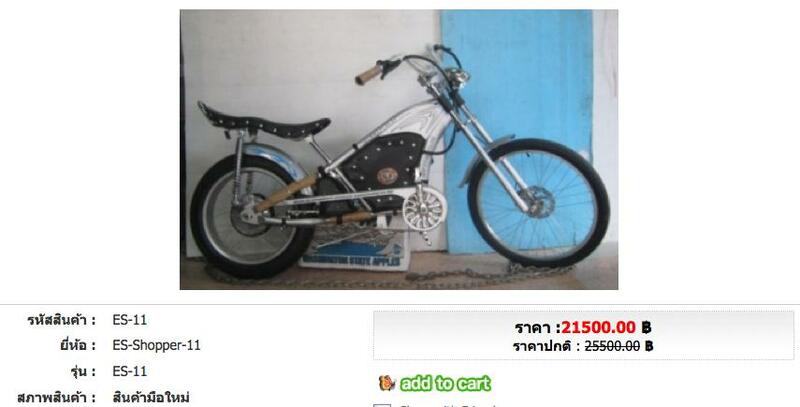 Simon43 that's somewhat encouraging news that your ex doesn't have any problems running around in it in Phuket. I won't be using it as a taxi for transporting people. Just use it for my personal everyday use back and forth to the stores, markets and building supply shops. The wife likes the idea of being out of the sun and rain. Although I'd really like to travel a bit with it outside the local area, seems unless I can figure a way to please the police that's the only place I'll be able to use it. When I asked one of them about registration he just smiled and said don't need to register. I suppose I should try asking the police next what their policy is on these. Samlors, Tuk Tuk drivers and motorbike taxis all wear a numbered vest, these they pay the police for every month, local police hassle the tuk tuks etc it isn't going to help them rent out the vests and the rights to drive these vehicles. Yes it's registered but as a tuk-tuk for carrying fare paying passengers. To drive it you must have a tuk-tuk driving license. 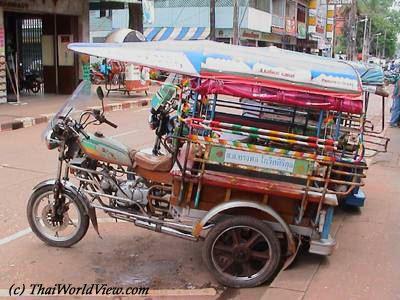 A farang cannot get a Tuk-tuk DL without a work permit. Thats a stretch limo being used for inappropriate purposes! "standard" tuktuk egine won't be allowed in any nature reservations or on islands. Make sure you have a car engine in there. I bought my TukTuk (it stills runs around on Koh Chang) six years ago from a german guy in Naklua and yet have to get any papers for it. In most areas, you will find local people helping you to register it. but be sure that the vendor shows you the engine and chassis registration stamps. This will require additional paperwork and it will have to be registered to yourself (or whoever drives it over the border). And after you have it, make sure you're driving out. A Farang driving a TukTuk outside Pattay is still creating tons of smiles on peoples faces! PS: making the driver license is easy and quite cheap, too. Should be a tourist activity attraction! You can register a SAMLOR at NONG KHAI near Lao border, the city is full of them, but not sure that you can drive it outside the province ? If possible just register one where they accept it and drive wherever you want. I have got a Samlor and had it for 4 years. I bought it at a shop near Masai Border to Burma. Its Chinese made with a 150 cc Chinese built Honda engine. We tried to register it here in Chiangrai for 2 years. Told yes you can and then no you cant over and over again so we gave up. 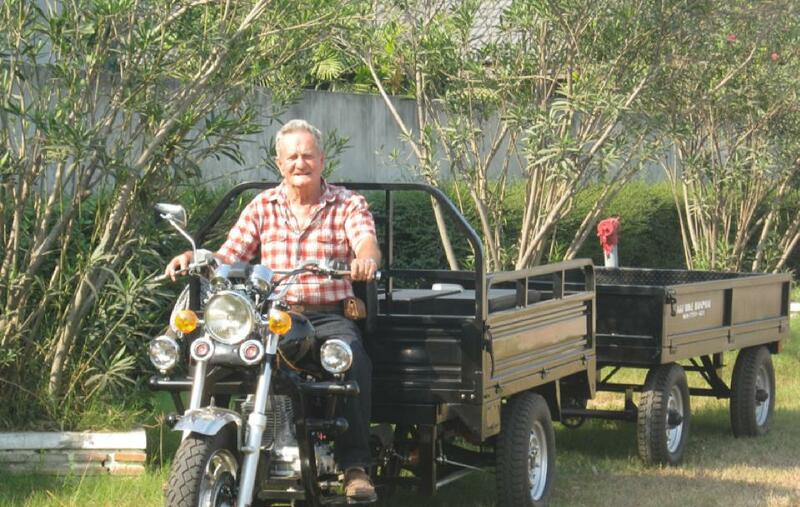 I drive it all over Chiangrai town area with no problem with Police as I am known by most of them. I had a Bar for a while and I have signs all over it and used it to pick up my booze etc. Since we shut the Bar I have had a Car Bucket Seat fitted in the back and thats where my wife sits with our dog. We go out in the bush to watch soccer matches etc. Load up the Picnic Basket and an esky full of Leo,s and away we go. I absolutely love it but a shame it cant be registered for private use. 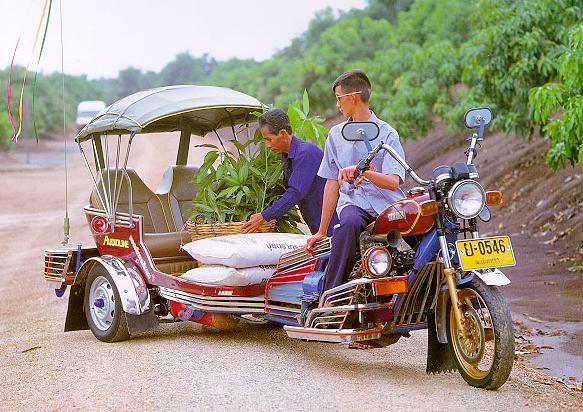 There is a place in Phayo that sells brand new Samlors and Tuk Tuks. The Tuk Tuks are 150,000 and they say (as usual) Falung can drive with no Plates but not get passengers. Use for shopping and carting stuff only. I am thinking of getting one and removing the roof at the back and turning it into a Little Pickup.